For as in Adam all die, so also in Christ will all be made alive. The consequences of this verse today, are mind-blowing – staggering to say the least. The eternal ramifications of these words are dumfounding – yet so few are fully aware, for just as those in Adam will all die – so those in Christ will all be made alive. Those positioned in Adam will die – but those positioned in Christ will live. The human race is divided into two camps – two parties – two distinct factions. Every member of the human race is either connected with Adam or with Christ. Initially, every person is connected with Adam from the moment we are born.. but those believing in Jesus are removed from Adam and put into Christ – forever. Those that move from Adam to Christ are born again into a new life. Every single person has a choice to move from being in Adam to being in Christ. Every member of humanity has the choice to change camps and swap parties. Every person who ever lived has a positional identification with Adam or Christ – but how few make the choice – how few consider the eternal ramifications. The devastating consequences of being connected with Adam are horrifying: for as in Adam all die. All who remain in Adam will face eternal death. The eternally glorious effect of being connected with Christ are wonderful. In 1 Corinthians fifteen we read: – so also in Christ all will be made alive. All who transfer from Adam into Christ are given eternal life. 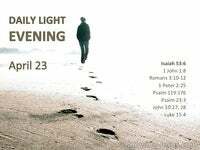 Death – eternal death; eternal separation from God is the chilling end of all in Adam. Death is the inevitable, irreversible result of being in Adam and remaining in Adam. Death is the inescapable reality and guaranteed consequence of remaining in Adam. Every member of the human race was born in Adam – and that’s every single person. Everyone with a human mother and human father came to be – through natural birth. Every person was born with a sin nature and all have sinned – so all are condemned, and the consequences of this condemnation is death – eternal separation from God. This is non-negotiable and is the chilling consequence of rejecting Christ as Saviour. Every member of the human race that trusts Christ – is born again into Christ. 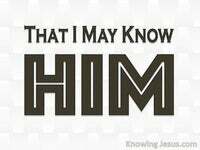 All who trust Christ as saviour become God’s children and joint-heirs with Christ. All in Christ have been regenerated, forgiven and clothed in His righteousness. Every born-again believer is freely given salvation by God’s grace – thru believing, and the consequences of this is everlasting life and eternal union with Christ. This is the irreversible and glorious consequence of accepting Christ as Saviour. The human race is divided into two camps – two parties – two distinct factions. Each person has a positional identification with Adam OR with Christ.. but every person has a choice to move from being in Adam to being in Christ. The choice depends on whether or not they choose to trust Christ as their Saviour. Those choosing to trust in Jesus are immediately transferred from Adam into Christ – they are born again into a new and abundant life and are given eternal life. Everyone that’s “born again” is in Christ – but all the unsaved are outside of Christ. They can’t buy or plead or wangle their way into Christ – except by believing on Him. God commended His love to us in that while we were sinners Christ died for us, and EVERYONE has a choice to accept or to reject God’s free gift of salvation. One day those in Adam will be eternally separated from those in Christ. One day those in Christ will live eternally – through the ages to come. One day those who reject Him will be thrown into the lake of fire: for as in Adam all die, so also in Christ all will be made alive. 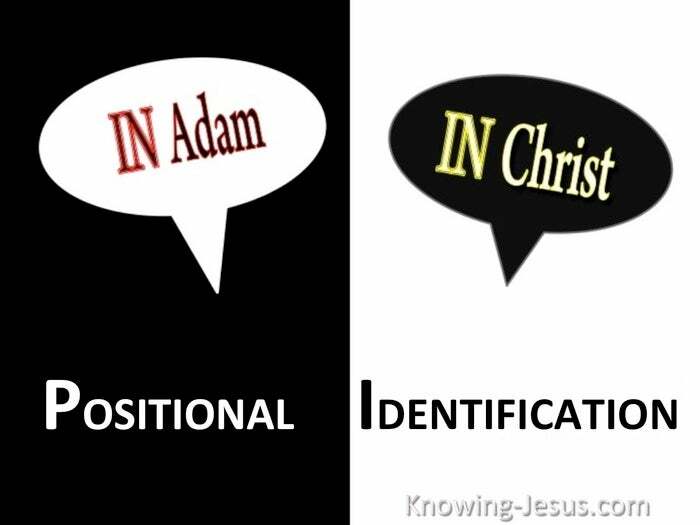 In Romans 5:12-21 Paul spells out our positional identification in Adam or in Christ:- When Adam sinned, sin entered the world. Adam’s sin brought death, so death spread to everyone, for everyone sinned. YES! people sinned even before the law was given. 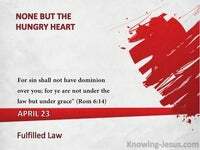 But it was not counted as sin because there was not yet any law to break. 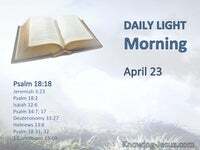 Still, everyone died—from the time of Adam to the time of Moses—even those who did not disobey an explicit commandment of God, as Adam did. The result of God’s gracious gift is very different from the result of that one man’s sin. For Adam’s sin led to condemnation, but God’s free gift leads to our being made right with God, even though we are guilty of many sins. For the sin of this one man, Adam, caused death to rule over many. But even greater is God’s wonderful gift of grace and His gift of righteousness, for all who receive it will live in triumph over sin and death through this one Man, the Lord Jesus Christ. Yes, Adam’s one sin brings condemnation for everyone, but Christ’s one act of righteousness brings a right relationship with God and new life for everyone. Because one person disobeyed God, many became sinners. 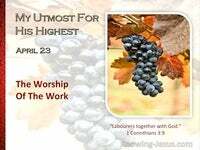 But because one Person obeyed God, many will be made righteous. God’s law was given so that all people could see how sinful they were. But as people sinned more and more, God’s wonderful grace became more abundant. So as sin ruled over all people and brought them to death – now God’s wonderful grace rules instead, giving us right standing with God and resulting in eternal life through Jesus Christ our Lord. 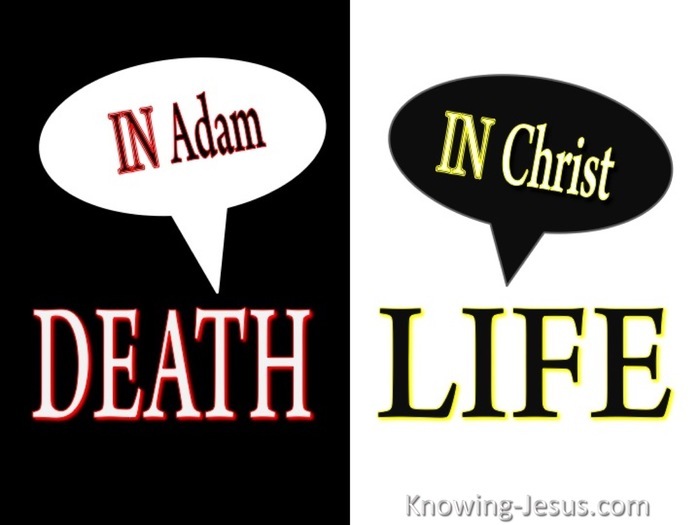 Romans 5:12-21 For as in Adam all die, so also in Christ will all be made alive.